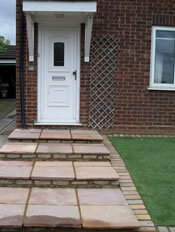 Website Accessibility and Access Keys - RW Landscapes - Innovative Garden and Landscaping Solutions - Hitchin, Hertfordshire. Access keys are keyboard shortcuts that replace the need to use the mouse for navigation, in browsers that support them. In Internet Explorer on Windows, you can press Alt + an access key; on Macintosh, you can press Ctrl + an access key. Then press Enter to activate the link. Structured, semantic markup: Headings and navigation menus HTML heading tags are used to convey document structure. (h1 tags are used for main titles, h2 tags for subtitles, h3.... and so on. *Note: For more information on these or any other browsers please see their own websites for more information.